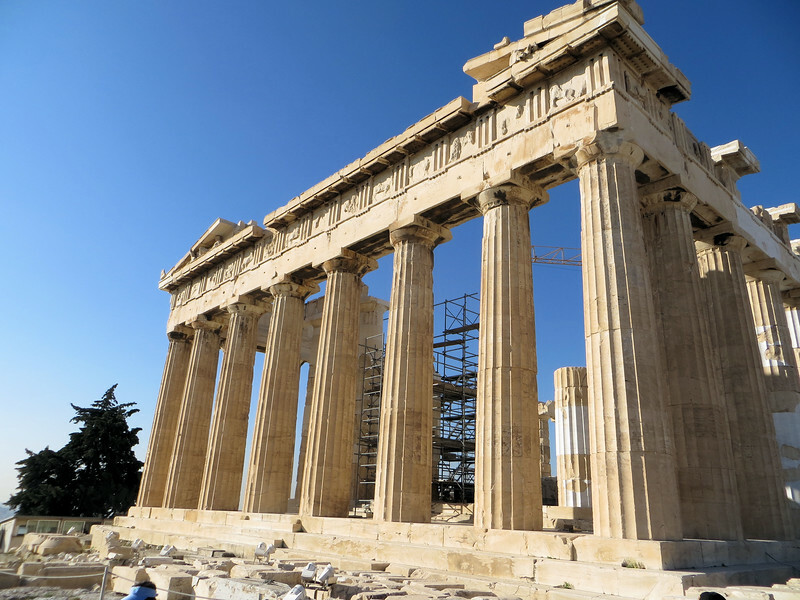 The Parthenon was built from 447-438 B.C. It is the finest temple in the ancient world. It was dedicated to the cult of Virgin Athena (parthenos means unmarried girl or virgin). It also served as the city treasury, which was not uncommon for temples in the ancient world.